Unfortunately with three kids (two of which I homeschool), teaching group fitness classes in the evening, and actually trying to have some sort of writing career, reading gets shoved onto the back burner of my life. But I have come across some amazing reads and wanted to share them with you. Even though I have had numerous dogs over the last 50 years, I never really considered myself a dog lover. Especially when I moved away from home and had to start cleaning up after them. So I couldn’t tell you what in the world prompted me to pick up Comet’s Tale from an airport bookstore in December, but I did. 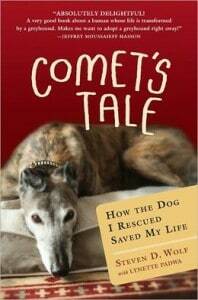 And I quickly found myself enamored by the spirit of the beautiful rescued greyhound that adorns the cover. The author, Steven Wolf, shares how this mastiff-sized member of the canine royalty not only wooed him with her gentility, but literally saved his life several times when his own broken body could not. It’s also the story of one man’s vision and perseverance to train a breed never considered for service to be his life-long companion and aide. Comet inspired me to look at my own dog, Tori (a Cockapoo that’s often mistaken for a Springer Spaniel), differently and see her unique qualities, to appreciate her for her avid and unwavering loyalty to myself and my children. Tori probably has another seven or eight years as my prayer walk companion which means she’ll pass on to doggy heaven about the time my youngest finishes high school. Prior to reading Mr. Wolf’s tale, I had sworn after she was gone “No more animals!”, even though there isn’t a better watch dog on the block. Talk about a punch between the eyes! 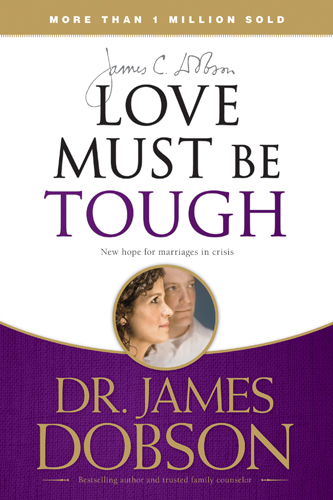 This book was recommended to me recently by a friend who had to make some tough choices in his marriage a few years ago. He shared quite adamantly that the book transformed his thinking overnight. I scoffed. I read. I changed. Dobson’s Tough Love principle can be tough to take especially for those of us who have taken God’s commands of forgiveness and twisted them into a co-dependent gospel of appeasement and self-disrespect. The first three chapters were as hard to swallow as a triple dose of horsepills without water. But after I trashed my pride, I realized how true–and Biblical–his principle was and I acted on it. It’s scary drawing the line in the sand with someone you love. It’s letting go of the boat like Peter and walking on the water toward Jesus. It’s putting your faith where your mouth is and trusting that God will reach out and catch you. Highly recommended. Get it from Amazon. My tastes vary, but I absolutely can’t resist a good YA (Young Adult) novel especially when it is CLEAN! I admit the Harry Potter series has completely spoiled me. None can rival J.K. Rowling’s world-building expertise and few come even close to her powerful voice and dynamic characterization. But Marissa Meyer may have a chance. Her debut novel Cinder (the first in a four-part series) yanked me right in from page one–and as a fast-food fiction junky with a very short attention span, that’s not easy to do. Cinder runs fairly close to the fairy tale from which it borrows it’s abbreviated name, except for the fact that it occurs in a post-apocalyptic world and in a city called New Bejing. 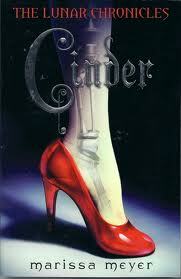 And Cinder, poor dear, is a cyborg, 62% human, 38% machine. It’s a love story with a twist. Absolutely captivating. And because my personal time is non-existent (I still have school-aged children at home), I don’t usually get to actually sit down and read a book, so I “read” Cinder via audiobook as a free download from the library (and saved myself $27) while doing laundry, making beds, and scrubbing my kitchen floor–kinda like the book’s namesake. Rebecca Soler, the narrator, captures Meyer’s voice perfectly. Fresh and feisty. The only bad thing I can say about Cinder is that it ends rather abruptly. I was left standing at my kitchen sink, one hand buried in dirty dishes, the other holding my soapy iPod–eyes fixed on the screen–and exclaiming, “No! No!” when the ending music started and Soler sweetly chimed, “Thanks for listening”. Some masochist at Square Fish Publishing (yes, that really is its name) had a very bad sense of humor when they suggested ending Book One where they did. I think it must have been someone in the marketing department because Book 2, Scarlet, is following on it’s heels in only a few weeks from the publishing of this review. I’m counting the days. Unfortunately, we’re going to have to wait till 2014 and 2015 to read Books 3 and 4. So if you don’t like hanging on for a year between books, wait until 2015 and then you can read all four of them back-to-back in a week like I’m sure I would have if I’d been warned. 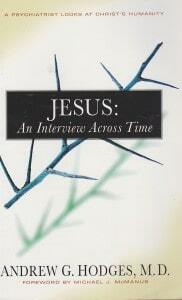 JESUS: AN INTERVIEW ACROSS TIME by Andrew G. Hodges, M.D. This is my absolute favorite book after the Bible. More than just transformational for my understanding of Jesus, it also catapulted my faith in the power and presence of the Scriptures in anyone’s life, including Jesus’. Drawing from his experience as a psychologist, Hodges “interviews” Jesus himself, discussing every major–and some minor–acts of Jesus’ life. Much of Jesus’ answers are speculative, but the scriptural basis for Hodges’ hypotheses is astounding.